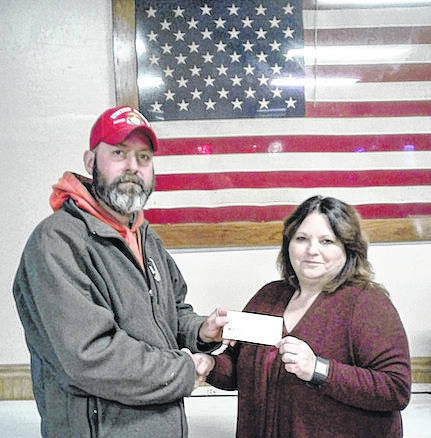 Richard Braddock, senior vice commander of VFW Post 8054, handing donation of $2,000 to Sandy Williamson of Morrow County Humane Society. 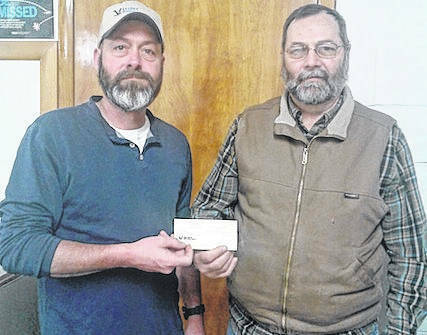 A $1,000 donation to Boy Scouts troop 35 Bob Cass. 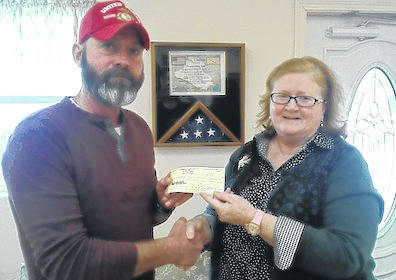 A $2,000 donation to Julie Blankenship of Morrow County Hospice.